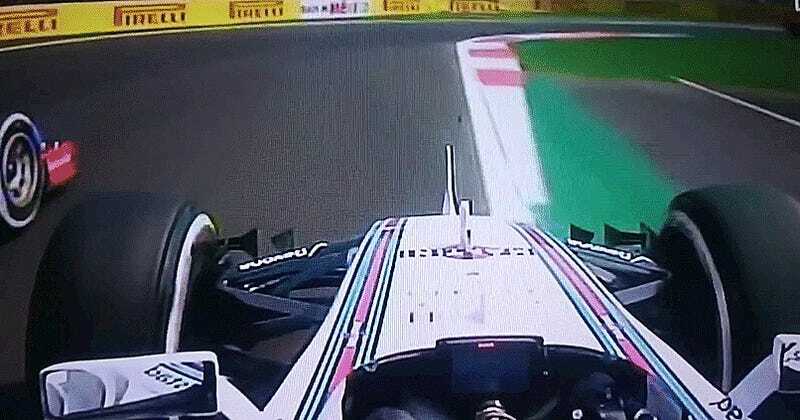 Williams Formula One driver Valtteri Bottas cut across into a turn in Russia and was knocked out of position by Ferrari’s Kimi Räikkönen. While Kimi received a 30 second penalty for that, the incident cost Bottas a solid top ten finish in Russia. Now it’s Bottas’ turn to take the inside line and knock Räikkönen out of place. That’s Räikkönen out of the race. While Tifosi are busy calling for Bottas’ head on a platter, the stewards decided not to further penalize either driver for the puntaroo. Bottas has climbed his way up to fourth position at the moment. I’m sure he believes that doing well — and not getting penalized for it, of course — is the best revenge.